Building this custom 60-2 (58X) trigger wheel to fit on the face of my drive mandrel. 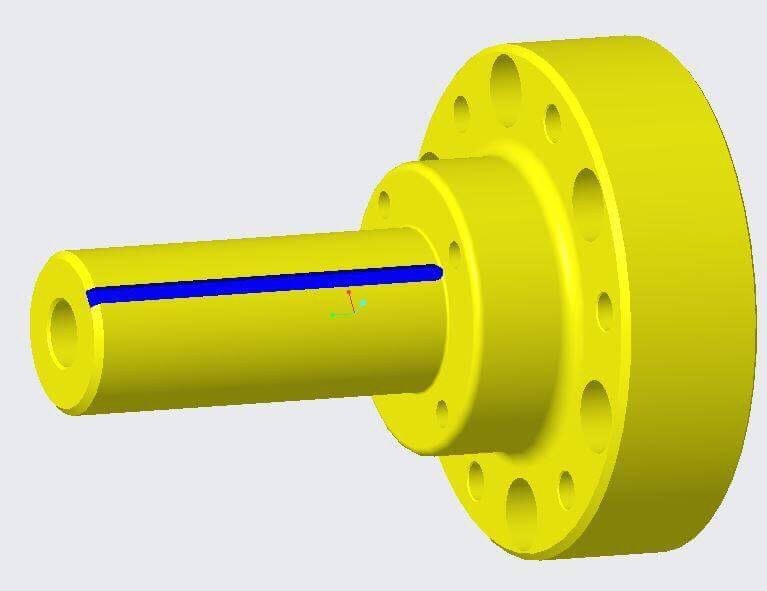 The intent if this project is to improve the low RPM timing accuracy and cranking/start-up response of the FAST XIM CNP. 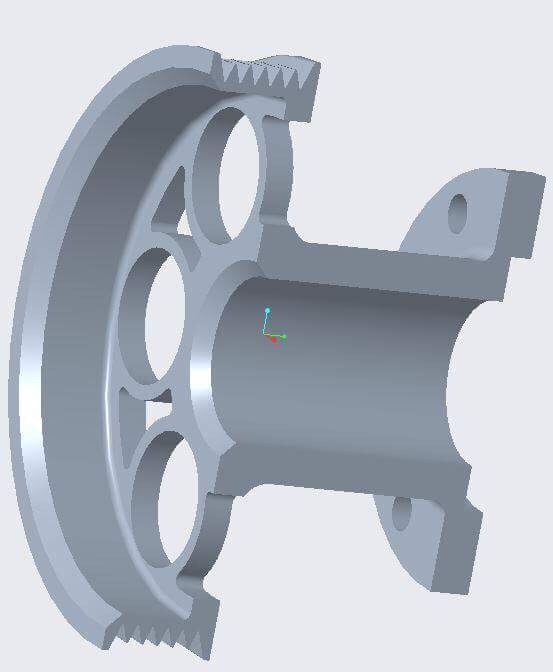 The intent of the front bracket is to stabilize the actual sensor part of the bracket as well as provide a means to set the wheel and cam sync by utilizing the balancing hole on the trigger wheel to align with strategic hole placement on the front bracket. So far I have the hardware made and will be getting the details coated with anodize and Cad plate. After I get this perfected I'll focus on a stock location version that will replace the factory pickup ring. I already designed the tooling to align the wheel to be pressed on the damper. The pictures below are the alignment tool and the wheel TDC set location and the cam sync region the XFI will be looking for. As of now my focus has been a set-up to work on the XFI and its trigger wheel timing requirements. VERY COOL!!!! I'd love to see the cranking response time fixed with our cars. Good luck and ill be watching for updates. I have a working copy of the above design on my car now. I can say that I have noticeable improvements over the stating quality, no random starter kickbacks or firing out the exhaust. I also have a better design that I been working on that I'm really proud of. Its a dual ring guard design with integral cam and crank trigger wheel set points. 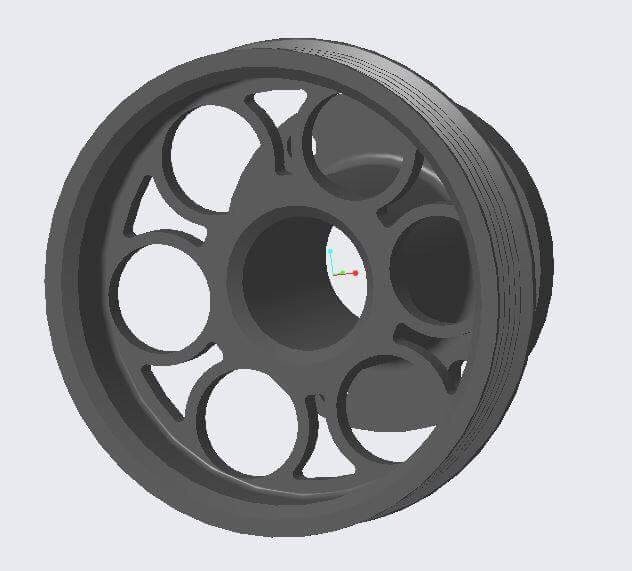 The split ring design is more forgiving on wheel position since it only requires different length tubular spacers to make an different offset instead of different brackets. Allan, looks great. 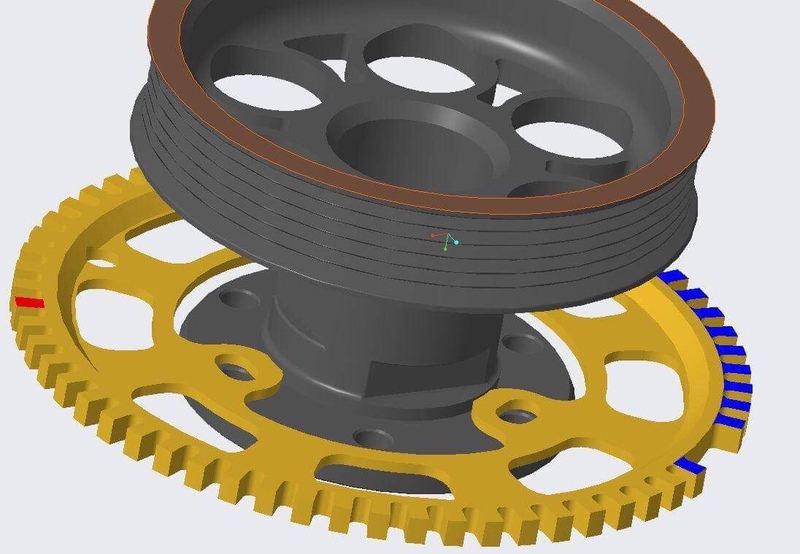 I am currently running a Danny Bee belt drive and i would prefer to utilize the stock style press on wheel if possible to avoid clutter,Can you tell me if pressing on aluminum onto steel BHJ balancer is okay and will not move due to dissimilar materials? Do you have a photo of system on your current setup? How about belt offset? Since this is being bolted between the balancer and pulley, is there any rea lserpentine offset? Adrian, I'm working on a solution to that. For my own setup I bolted the wheel to the front of my drive mandrel. For a more universal fit for anybody else I'm looking to have a drive mandrel made specifically to mount the wheel to. Also have a custom pulley designed as a backup plan. I was looking into a stock position wheel but there was too many obstacles. 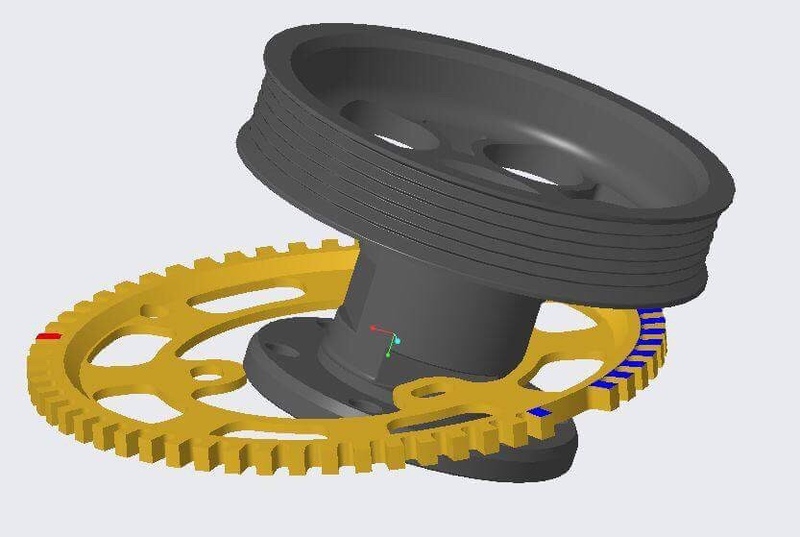 The factory timing cover was in the way, but a belt drive shouldn't have that issue, and there is to much variability in the different types of balancers to make a single design work. A BHJ balancer for example is so wide it would not allow the pickup wheel to press fully on the area where the factory style wheel is. If you we're to look at one of those balancer the factory style wheel sits below the OD face. You would have to weld or bolt the bigger wheel to the damper and could be frowned upon by a tech inspector. I'm sure there could be a solution if it was looked at hard enough. Maybe there is room to sandwich it between the damper and belt drive ? I'm not sure I would trust a press fit since the mass of the wheel seems significant enough to carry some inertia forces that would make it slip. Another solution would be to press it on the back, to whatever small surface that would be, and using the 6 pulley bolts as a guide, drill and tap those holes and run longer pulley bolts to positively keep the wheel from spinning, or dedicate 3 fasteners from the front to retain the pulley, and 3 going in the rear to hold the wheel. Did you need special firmware for the xim ? I do not see switch setting for this combo in the xim manual. There are two XIM manuals in the Help file but only one shows the DIP switch setting for the 60-2 and single cam sync. So no special firmware for the XIM.